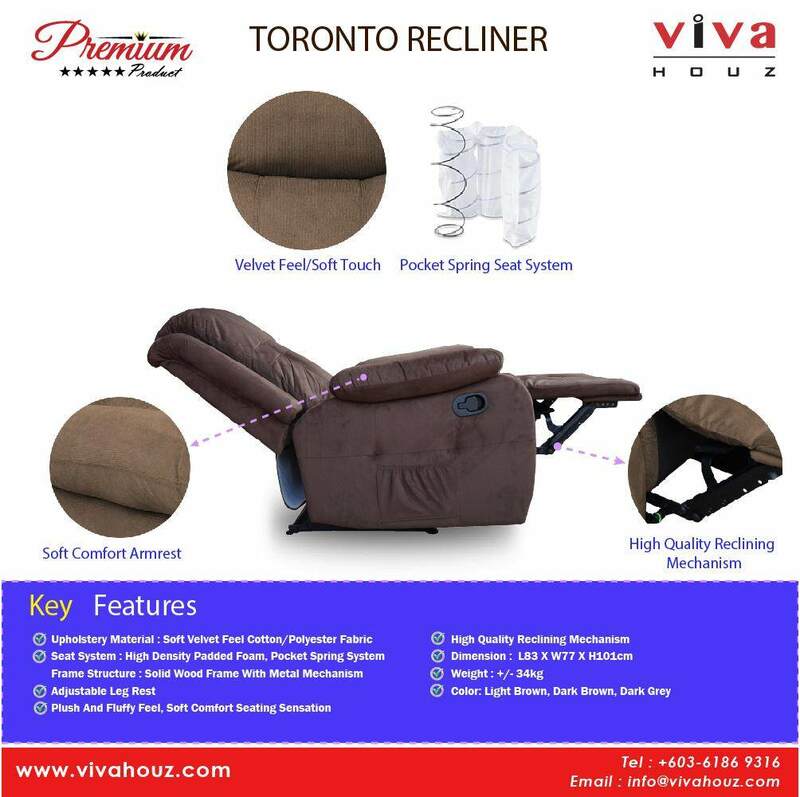 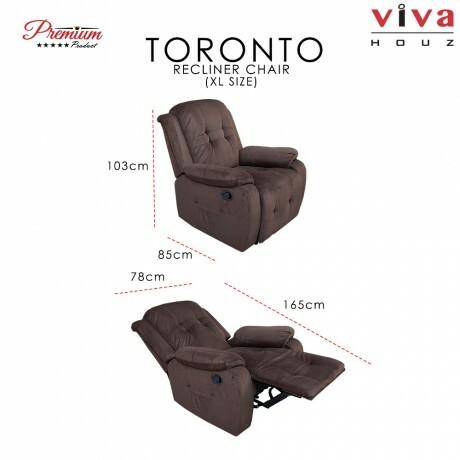 Viva Houz Toronto Recliner Chair / Sofa are upholstery with high quality fabric and reclining functionality make this recliner the perfect choice for those seeking superior style and comfort. 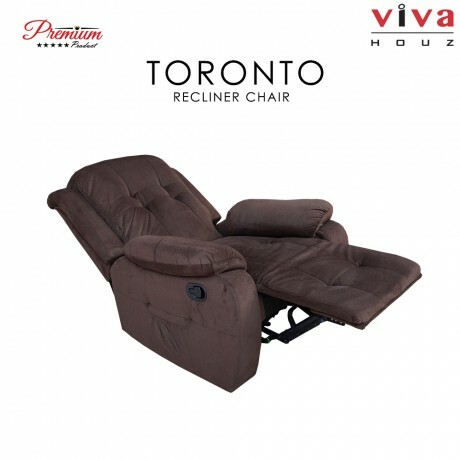 It has a sturdy frame with broad padded arm for that secured comfortable feel and support when the relax mode kicks in. 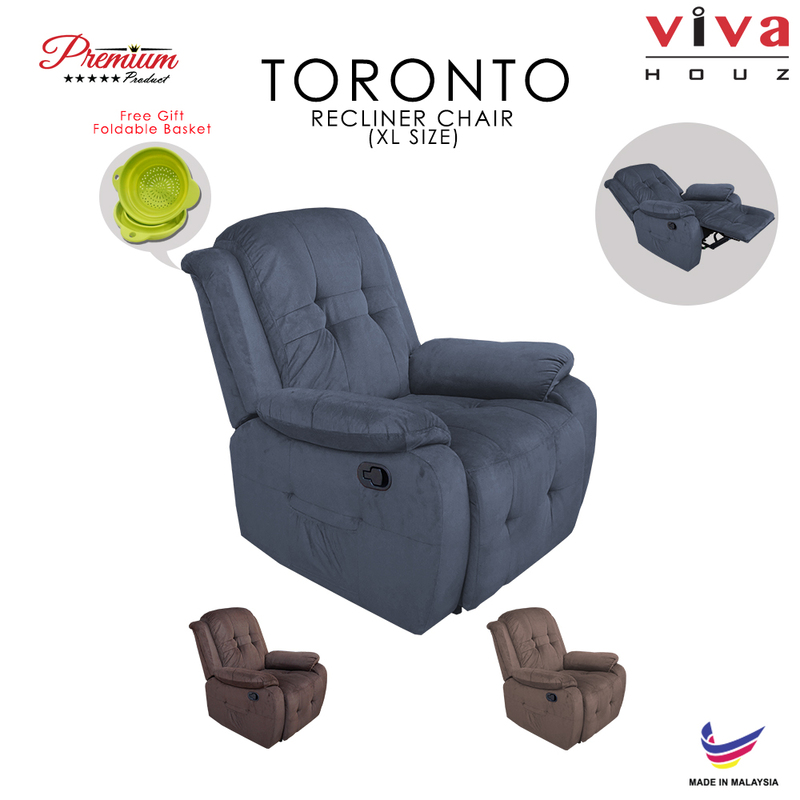 The Totonto Recliner Chair / Sofa provides relaxation from head to toe with an easy to reach external handle provides easy open and closure of the reclining mechanism without interfering with the overall style of the chair. 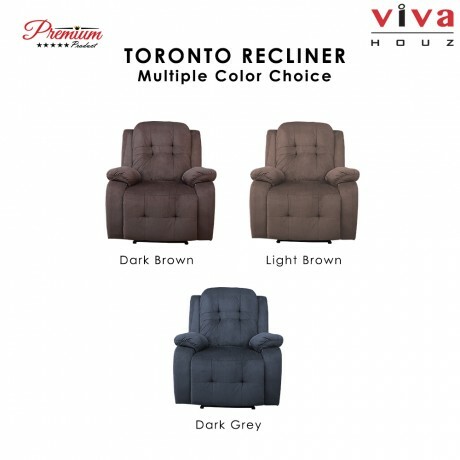 Update your living room environment with this comfortable recliner chair that's great for any space and makes it perfect to relax, take a nap or read a book.